Flu is caused by a virus which is easily spread through coughing and sneezing, for most people, flu will make you feel miserable, but most will get better on their own. But if you have any Long Term Conditions/Chronic Disease flu can give rise to more serious complications. 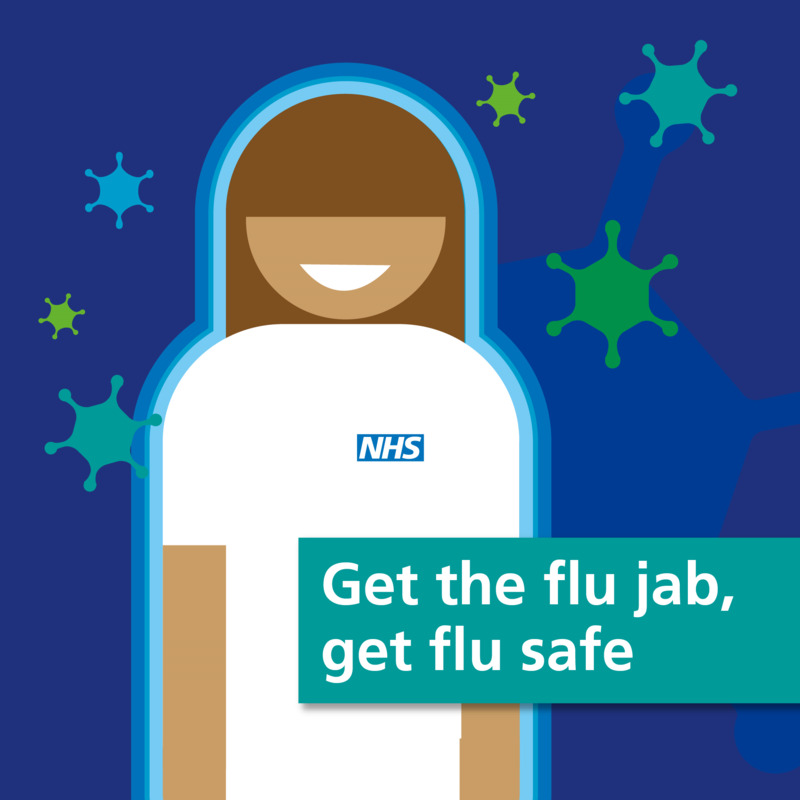 You can minimise your risks of catching flu by having a FREE flu vaccination here at the surgery. We are holding walk in FLU ONLY clinics on Saturday 22nd September, 6th & 20th October between 08.00 and 12.00. We would really appreciate if you could respect this as we are striving to vaccinate as many patients as possible within a convenient time to both parties. If you are aged under 65 by 30.3.19 you will receive the Quadravalent vaccine. If you are 65 or older by 30.03.19 you will receive the Fluad vaccine.